This is the Simple Maths Brain Teaser Question which is dedicated to Grocery Shopping. When you go for Grocery Shopping, you need to do a lot of Mathematical calculations while buying the things. Anyway this is very simple and easy Maths Brain Teaser Question which many people will tend to given the wrong answer. Let's see if you can solve it correctly and quickly? Can you solve this Simple Math Brain Teaser Question? 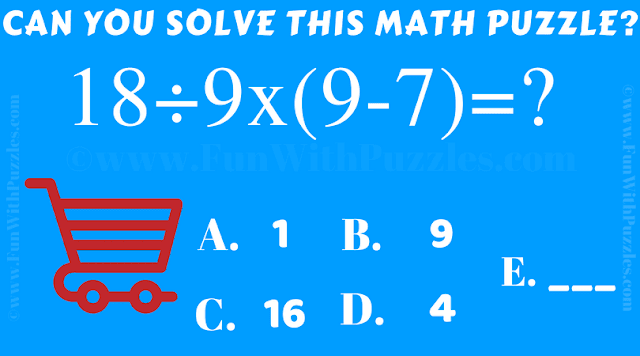 Answer of this "Brain Teasers Question of Simple Maths", can be viewed by clicking on button. Please do give your best try before looking at the answer.